ArcGIS Solutions Deployment Tool, an ArcGIS Pro add-in, will make it easier for you to find and deploy ArcGIS Solutions. 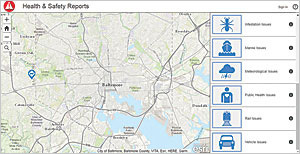 If you are not already using them, ArcGIS Solutions are free and supported configurations provided by Esri for defense, utilities, state government, local government, and other industries that enable typical workflows in specific industries, deliver innovation, and incorporate best practices that improve your organization's workflows. In some cases, you may need to load existing data into the ArcGIS Solutions app before sharing the maps or applications. Reviewing the maps and applications provided with the solution will let you identify if there is source data you need to load. Some ArcGIS Solutions apps are designed to capture new data for your organization or solicit information from the public. 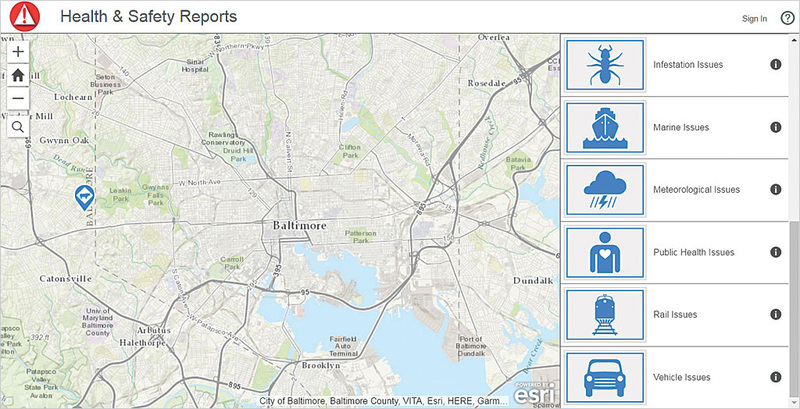 For these solutions, you won't need to load data before sharing the ArcGIS Solutions app. Andrew Peters, GIS manager for the City of Falls Church, Virginia, has found the tool a time-saver. "The Deployment Tool automatically performs those tedious processes in just a few clicks. The tool exponentially reduces time because I'm not fiddling around making decisions about which icons, fields, and schemas to use. I can easily configure the app to true it up with the data I already have."